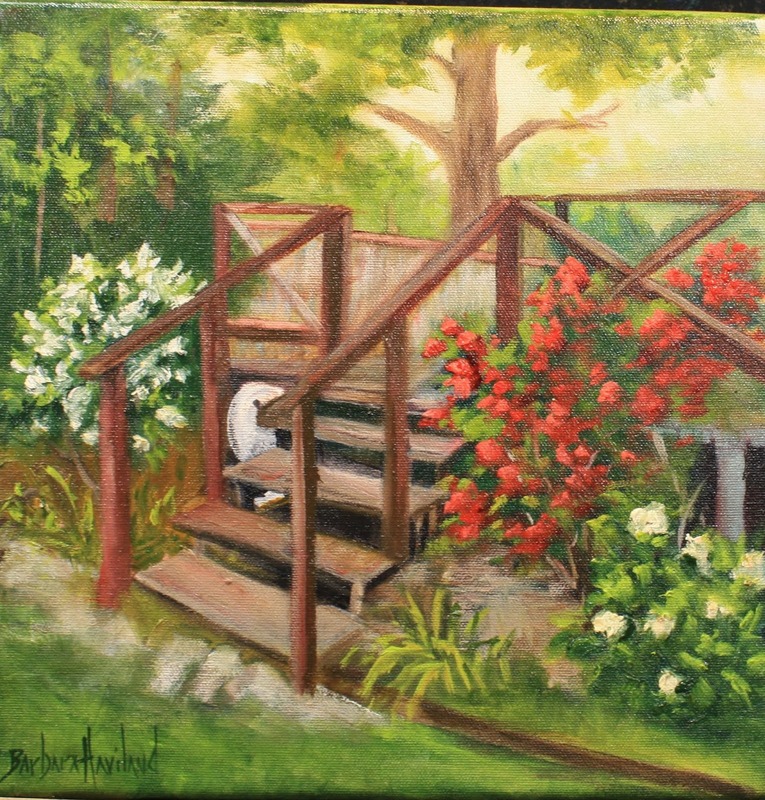 My Porch Steps are done in oils from a photo of our new porch. I have painted it in a painterly way and took artistic license on some parts. The painting measures 10″x 10″ and is ready for a new home.